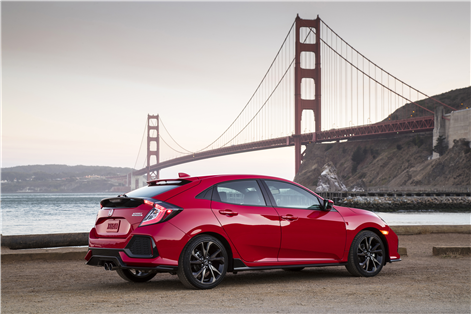 If a driver wants a better way to handle morning commutes, family transportation, or long-distance travel, the 2018 Honda Civic Hatchback is the affordable answer. But budget-minded pricing doesn't stop it from offering well-appointed packages with surprising standards. 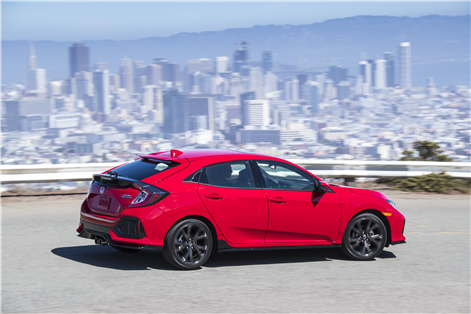 The 2018 Honda Civic Hatchback is offered in three variants, the LX, the Sport and the Sport Touring. 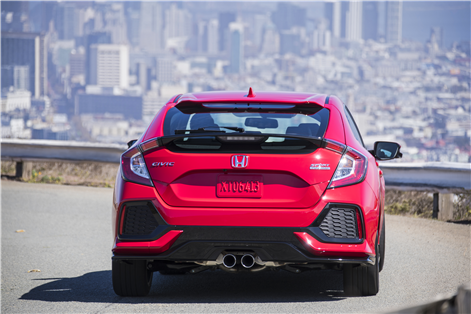 The 2018 Honda Civic Hatchback has good fuel economy. Drivers can expect to earn 6,9 L/ 100 KM in combined driving. Fuel economy on the highway alone is rated at 6.0L/100 KM. Direct injection helps its four cylinder, 1.5 Litre turbo engine generate 174 horsepower and 167 lb.-ft. of torque. Traction issues can be resolved by the car’s Vehicle Stability Assist and Agile Handling Assist. These electronic systems use brake re-distribution, throttle reduction and other means to provide safer handling. Reverse manoeuvres are less complicated with the car’s standard reverse camera. Drivers benefit from three angles and dynamic guidelines to maintain a safe path. The Sport and Sport Touring variants have an 180 horsepower and 177 lb.-ft. of torque version of the engine. With Honda Sensing, drivers gain assist functions to help hold the lane and to prevent road departures. A collision mitigation system may assist after a forward collision warning has alerted the driver to danger. All models come with a standard six-speed gearbox. But the engine can also be mated to an efficient continuously variable automatic, which is available as an option. 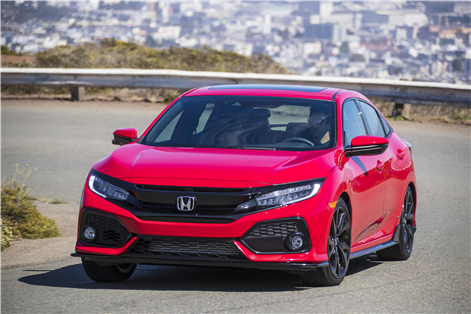 While some base editions of rival cars hold back on the most modern features, the 2018 Honda Civic Hatchback LX comes packed with value. The entertainment touchscreen lets users access dozens of smartphone-specific apps via Android Auto or Apple CarPlay. HD radio provides crystal clear reception of local channels. Sport Touring models add a 12-speaker, 542-watt audio system and an advanced navigation touchscreen. Every model comes with an acoustic windshield. 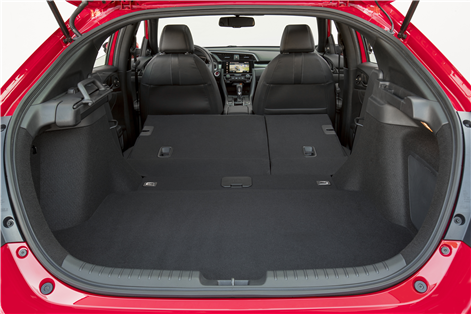 Extensive sound insulation and special noise reduction techniques contribute to a premium ride quality. The tilt-telescoping steering wheel has duplicate audio tabs to help the driver keep both hands on the wheel. A seven-inch colour monitor keeps the driver stay informed. Heated front seats improve winter commutes and the available remote starter warms up the cabin ahead of time. 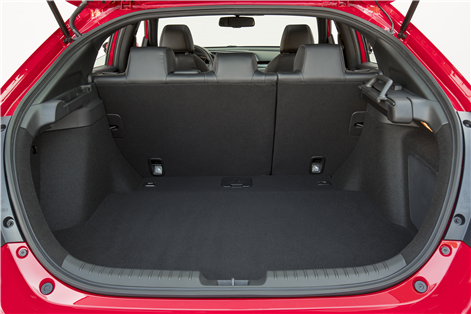 Sport Touring models pamper everyone by providing front power seats and rear power-heated seats. 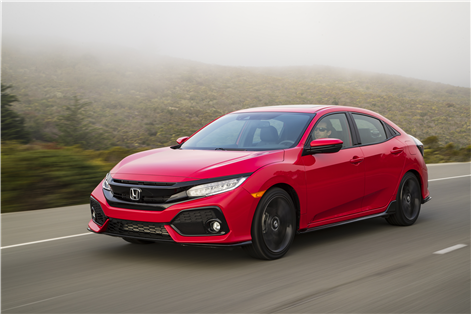 The 2018 Honda Civic Hatchback is available now from Orleans Honda.